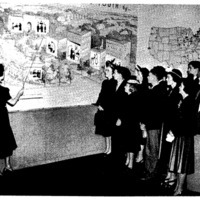 Subject is exactly "Social hygiene"
This photograph shows a group of people listening to a woman discuss social hygiene at the ASHA's exhibit on the subject at the 1939 World's Fair. 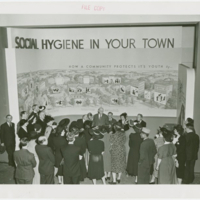 These photos show the social hygiene exhibit sponsored by the ASHA at the 1939 World's Fair. 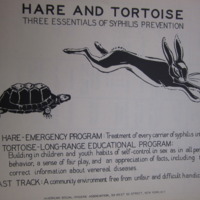 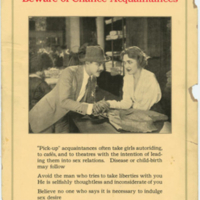 "Hare and Tortoise--Three Essentials of Syphilis Prevention"
This poster describes long- and short-term social hygiene programs. 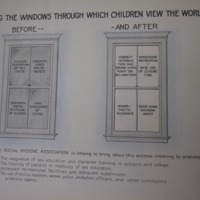 "Cleaning the Windows Through Which Children View the World---"
This poster advises young women to have positive thoughts. 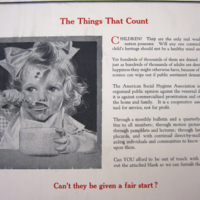 It is part of a larger poster series called "Youth and Life." 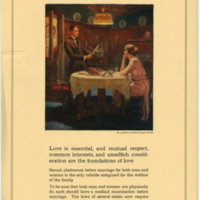 "For A Happy Married Life"
The poster promotes abstinence and medical exams before marriage. 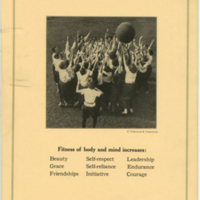 It is part of a larger poster series called "Youth and Life." 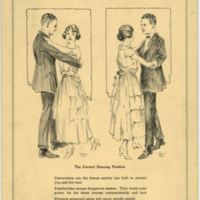 "Fitness of Body and Mind"
This poster encourages young women to socialize with young men around their family and friends. 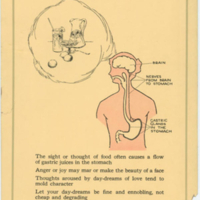 It is part of a larger poster series called "Youth and Life." 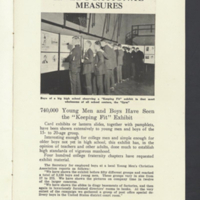 This photograph shows young men looking at a exhibit of social hygiene posters. 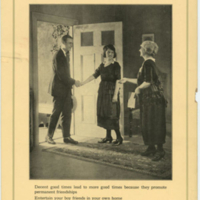 This page originally appeared in a book titled, Two Years Fighting V.D. 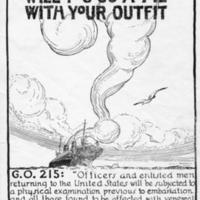 (1920) by the USPHS. 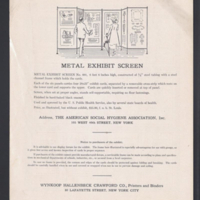 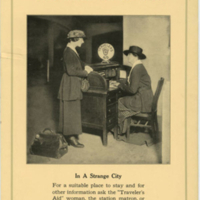 This image shows how social hygiene exhibits were displayed in this period. 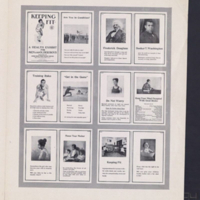 The brochure shows the different posters included in a version of the "Keeping Fit" health exhibit created for African American men. 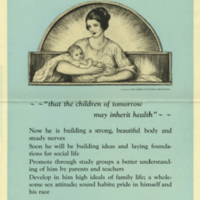 "That The Children of Tomorrow May Inherit Health"
This poster promotes social hygiene among parents and children.